Chiropractic care is a non-invasive, non-surgical, alternative treatment for spinal and joint misalignments caused by many factors including birth complications and physical trauma such as result of an automobile accident, sports injury, or a fall. Dr. Todd Goldman of Total Chiropractic and Wellness of Medford offers the benefits of specialized chiropractic care after being involved in an automobile accident. 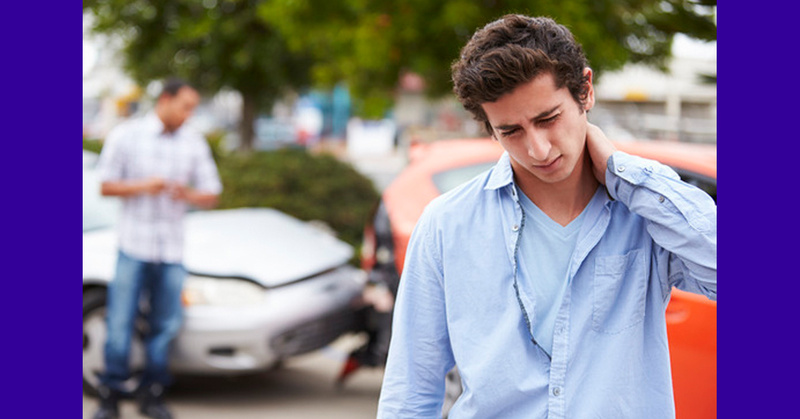 Whiplash is one of the most common injuries sustained in automobile accidents. Whiplash is defined as a strain in the neck area caused by a sudden jolt or jerking motion of the neck. It is technically a spinal injury but other symptoms associated with it include neck pain, shoulder pain, headache, blurred vision, and dizziness. You may even have lower back pain. Often times, people involved in an accident don’t even realize they are hurt; whiplash doesn’t always come with pain or a severely damaged vehicle. Sometimes symptoms of whiplash don’t show up until weeks, months or even years later. According to the American Chiropractic Association, severe whiplash is often associated with injury to the intervertebral joints, discs, ligaments, and muscle and nerve roots. Allowing effects of whiplash to go without treatment could eventually cause long term problems, so seeking chiropractic care right away post-accident can be very helpful. Dr. Todd Goldman provides a full range of services for pain management and healing after a car accident. These services help to restore your spine health and the health of the surrounding muscles. Dr. Goldman teaches patients corrective exercises that can be performed at home and may also provide useful lifestyle advice and nutritional counseling to aid in the body’s healing. Besides being a non-invasive approach, chiropractic care fosters the body’s own healing, so with regular spinal adjustments, and gentle manipulation, you should regain normal range of motion in your neck. Dr. Goldman can potentially treat your injuries with one of his three types of massage: Trigger Point massage, Swedish massage, and Hydro massage. Whiplash treatment with Dr. Goldman begins with a comprehensive examination of your whole spine to assess any injury, and then he will determine a treatment plan that is best for you so you may begin to heal. Continued treatments may result in prevention of further injury. If you have been injured in an automobile accident, or are experiencing pain from a previous whiplash or other injuries, you may want to consider coming in for a visit. Dr. Goldman has been in chiropractic practice for over twenty years and can modify any treatment to align with your specific needs in pain management. Please feel free to contact the office to schedule an appointment.